1000D CORDURA® Scorpion OCP is HERE!!! As similar as these two patterns are, it can be easy to tell the difference when you know what to look for. 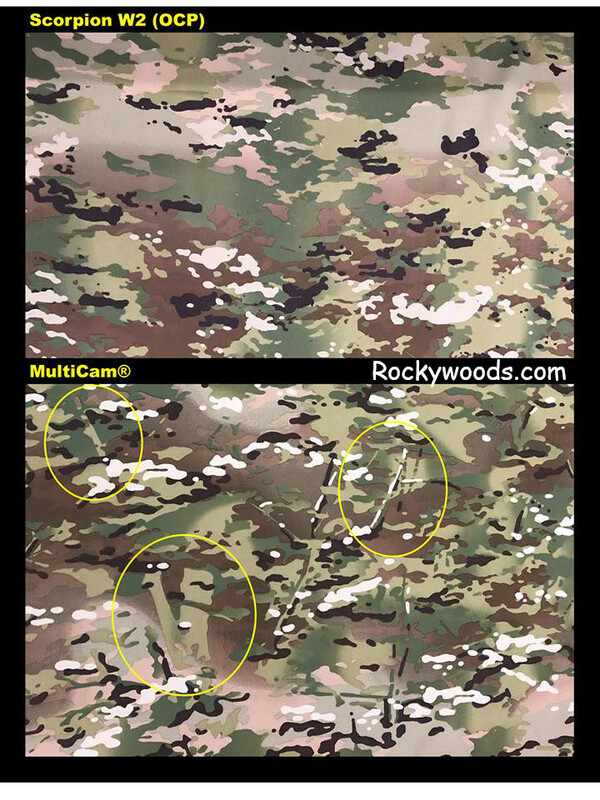 MultiCam® will have some linear strokes in the pattern. Notice the yellow circled areas in the bottom-half of the picture. There are several more throughout this print as you will see. The most telling feature is the large V that can be seen towards the bottom-left. Now look at the top print, the OCP. It is almost identical to the MultiCam® in color and design, except you will not find a single linear stroke.